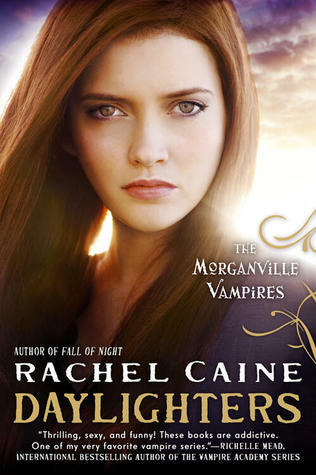 Master storyteller Rachel Caine has her hands full with her bestselling Morganville Vampires novels coming to an end, and a brand new book (a retelling of Romeo and Juliet titled Prince of Shadows) on the way. But with speculation about Daylighters (Nov. 5, 2013), the series finale, at an all time high, she just couldn’t resist dropping some hints. She’ll be stopping by to answer your questions in the comments below, but she can neither confirm nor deny what’s true and what’s not! Rumor #4: Eve and Michael get divorced. 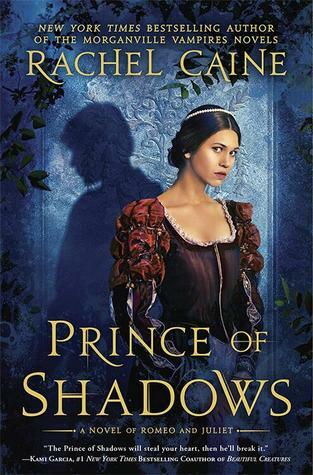 PRINCE OF SHADOWS is out February 4th! Be sure to watch the official book trailer [coming soon!] and read an excerpt! Fair Verona is a town thick with secrets. Benvolio Montague hunts the darkness as the elusive Prince of Shadows, stealing from his arrogant peers. Rosaline Capulet dreams of freedom from the prison of her family and the convent that looms ever closer. Mercutio Ordelaffi hides a forbidden, dangerous love. The collision of their secrets will lead to obsession, tragedy, curses and revenge. Only the Prince of Shadows can unravel the tangle of their fates before it is too late. 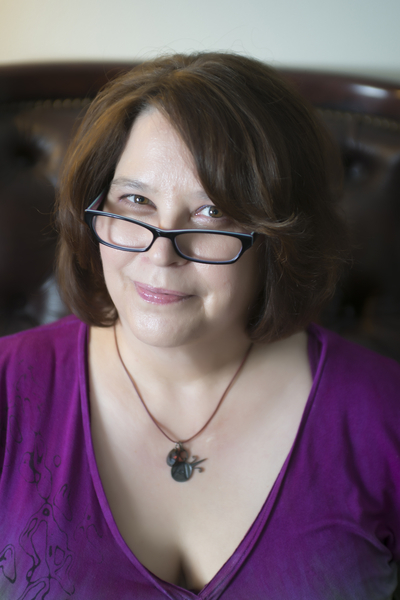 Rachel Caine is the New York Times bestselling author of more than thirty novels, including the Weather Warden series, the Outcast Season series, the Revivalist series, and the Morganville Vampires series. She was born at White Sands Missile Range, which people who know her say explains a lot. She has been an accountant, a professional musician, and an insurance investigator, and, until recently, carried on a secret identity in the corporate world. She and her husband, fantasy artist R. Cat Conrad, live in Texas, which so far as she knows does not actually contain any vampires. Rachel Caine is a fictional character herself…a pen name of writer Roxanne Conrad. Since 2003, Rachel has written in the adult Urban Fantasy genre (the Weather Warden, Outcast Season, Revivalist and Red Letter Days series) as well as in Young Adult fiction (the Morganville Vampires series and the upcoming novel Prince of Shadows). 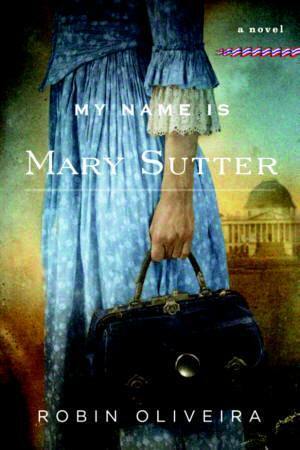 She is the author of more than forty novels and many short stories, and is regular featured in anthology collections. Arden’s Favorite Meal | Joyride by Anna Banks Blog Tour + Giveaway! Heather Demetrios’s Ten Random Facts About BLOOD PASSAGE | Blog Tour + Giveaway! Blog Tour: Goodbye, Rebel Blue by Shelley Coriell – Dream Cast + Giveaway! Thanks SO MUCH for hosting me today — it’s very exciting! A little hard to face the end of the Morganville series for me, but I’m happy to give everyone closure to this series — hopefully something everyone will like. Anybody have questions? I’ll be checking in all day! I am a huge fan. I don’t agree with ending the series yet. Myrnin is the reason for the series success n he hasn’t had his momment yet. I know the last book will be great but no way can Myrnin get his comeupense in one single book. Love your work n will miss your books greatly. Best wishes. I think Myrnin gets lots of good moments in this book … but all in all, he’s not the main character (however much he tries to be, lol). So his story has yet to be told in full. I do intend to tell it, though. This is the last of the series for now, but I’m considering doing some longer works — probably novellas — in ebook form for the adult characters. So stay tuned! Oh, David — forgot to say that the reason the series really needs to end is that it’s the curse of a very long series that people are afraid to get into it as new readers. Past a certain point, it’s such a financial investment for them that they don’t want to start. So you start losing readers (it’s a natural process) who either fall behind or just lose interest, but you don’t gain new ones, and after a while it doesn’t make any sense to keep going in the form you’re in. That doesn’t mean I don’t love living in Morganville in my head — I do. But I also need some time to explore other worlds, which I can’t do while writing two MV novels a year. So. It was just time, I think. Hi Rachel! I absolutely loved the Morganville Vampire Series! Is there any chance that you would be writing something similar to that series? If so that would be wonderful! I don’t honestly know what my next series will be right now. PRINCE OF SHADOWS is designed to be a one-off book, but I’m working on proposals for what comes next right now. It won’t be a spinoff of Morganville, though. I’m going to break some new ground. Well I will be interested in what your next book will be about. I enjoyed your series very much! Oh and would you consider maybe doing a book about Myrnin? He is one of my favorite characters! I’m considering doing ebook novellas about adult characters. :) So yes, Myrnin would definitely be an ideal choice! OH Yay! That is awesome! Hello, Linara! So excited to meet a Russian fan! I hug you! I started the MV series a couple of years ago from a recommendation from Kayleigh @ K-Books! So glad that I did! I enjoy all of the characters, but Myrnin is my favorite!! Did you just literally create him or do you know someone that has some crazy Myrnin tendancies? If you do, that person has got to be a hoot! I am sad that this series is coming to a close:( But, I will keep an eye out for the web series and the novellas! Myrnin was an interesting creation — on the one hand, he just sort of sprang to life with his dialogue already written. On the other hand, I did have a coworker who read the first draft of the book and said, “Oh, that’s so me, I’d do that!” — so there’s that too. She pointed out that Myrnin was actually not just ill from the regular vampire illness, but underneath was bipolar (as he had been in life) … which made so much sense. Thanks so much for sticking with me on this very long trip! Hi, the book looks interesting so far with all the snippets! Do all the characters get a happy ending or are there some who don’t have this luxury? Also, just wondering, do you think you might do novellas about characters who have died before this point in the series, or just adults who have made it to the end? Can’t wait for Daylighters, thanks so much for the books over the past years, some of the characters have really stuck in my heart and always will! To be honest, there are not enough pages in a long series like this to give individual happy endings to all characters, though I tried my best. For some it’s more of a return to normal (which might not be happy, per se!) … but I tried to give all the characters as much closer as possible. If I’d done them all, though, I’d have half the book devoted to it, and it was more important to tell the story, I think. I’ll be away from the keyboard for a bit – we’re ghost-hunting the attic. NO LIE. We have a giant, hidden attic that we may turn into a third floor, and also may be extremely haunted because, well, our house is weird. Or there just might be loads of spiders, in which case I might girly scream a lot. There will be video later, unless I fall through the attic floor and die, in which case, maybe not. Wait? so the daylighter is the finale book? Fatma, thank you so much! I am so amazed that I’m getting people commenting from all over the world about our little Texas town. You ROCK. Hey Rachel! How are you? Amazing snippet! I’m getting more ans mire curious and excited to read Daylighters! I know its going to be epic! I’m upset that the series is ending, but as you say I think it’s time; although I don’t want to see it end. I wondered you mention garlic in the books bother vampire’s. Does it? If so what does it do to them? You say you may do some novellas, if people like me don’t have an ebook, would it be available anywhere else? Thank you. I’m always asking you bloody questions. Haha. Hi, Sophie — hmmm, about the garlic, it’s more that they have an aversion to it, not that it really hurts them. At least in my universe. It can’t poison them, just makes them feel kinda sick. I’m thinking about how to make novellas available even if you don’t have an ebook reader, but I know that Kindle, Nook and (now) iBooks all have computer apps that let you read ebooks on your computer, too. Will continue to look into it! NO,NO,NO Michael and Eve has to stay together and Shane and Claire needs to get married!Happy Ending,Happy ending PPPPPLLLEEEAAAASSSEEE! I have heard your wanting and I will try to make it so. :) But it isn’t drama if we don’t have OBSTACLES. Obstacles are fine as long as they overcome them..and no death of those 4 please..a recent book did that and it make me not like the trilogy anymore…and I don’t want to not love Morganville Vampire,they almost like family to me. OK, I’ll make you this promise: we will overcome obstacles. :) How’s that? VAGUE. Yes, I know. Millie, bless you. I am so touched and honored, and while I’d love to keep writing and writing and writing in this universe, I have other stories I want to tell, and … I have to close the shop at least for a while to follow the next dream. I’m not saying I won’t come back to it, but for now, I feel that this is exactly the right place the end. Your poor parents. SEE? This is why I can’t do umpty-million books! THINK OF THE POOR PARENTS! Abigail, you’re amazing, thank you! THANK YOU! I am so pleased you (and everybody here) has been so supportive and happy about the series. Hmmm … hint … wait, THAT’S NOT A HINT THAT’S A SPOILER. So I cannot answer it. Kayleigh! I’m sorry to torment you like this. I can’t answer any questions because, y’know, the book does that for me. :) NO CLIFFHANGER. I promise. I think there’s a real sense of closure, though. I promise, all will be well! Hi again! Not a spinoff right now, because I have a new book coming out in February (PRINCE OF SHADOWS, you can read about it above) that’s totally different. I’m starting a new series that’s different as well. I’m not ruling out doing more stories in the Morganville universe, though. THANK YOU! I only started reading this series about 4 months ago and I have got through 14 books ready for the 15th and final chapter, I haven’t been able to put these down, I’ve laughed, cried and really don’t want this to end. I love this series and really hope it will come to the small screen as a series it would be absoloutley amazing to see these characters come to life on screen, the relationship between Michael, eve, Shane and Clair is amazing and I just love Shane. So sad to see it end. Lucinda, thank you so much — wow. You’ve just immersed yourself in Morganville, haven’t you! That’s amazing, and I’m so honored you think so highly of the stories and the characters. We’re working hard to get the web TV show off the ground by the end of the year! So please, stay tuned! You guys, I didn’t die in my attic. Nor did I see any ghosts. Disappointingly, there weren’t even any spiders to shriek at. A lot of dust, though. SCARY DUST. No video because it was the world’s most boring attic exploration. Anyway. Thank you all SO MUCH for joining us today, and thank you SO MUCH to Jess who is absolutely such a doll for hosting the Morganville Blog Tour today. Hugs to everyone! I’ll check back tomorrow morning for any additional comments. Don’t forget: new snippet at the stop tomorrow! Congratulations on the success of your MV series, I assure you that you’ve encouraged many a reader including myself, sadly only few of my books/scripts include vampires, you write about them in a way that’s so unique it’s a new light in vampires completely. Would you ever consider writing a prequel to the series? Revolving around Michael,Shane and Eve as children growing up in morganville? OMG please do not end the MV books! I love them to much, so please don’t end them! Iv read all 14 books four times and are thinking of reading them again. This is because sometimes you miss or forget important info. My fav MV book is 13 bitter blood. It’s just full of emotion. Please don’t end the series! I refuse to believe under any circumstances that Michael and Eve are getting a divorce. But a cure…that’s interesting. I was wondering what would happen (would Eve go vamp? And then Claire and Shane would grow old and they wouldn’t?) with those two, since they obviously can’t stay together forever if he stays young and she doesn’t. I can’t wait to read it (bittersweet, because I don’t want it to be over)! It’s almost here!